46. The NHRC has been constituted to inquire into cases of violation of and for protection and promotion of human rights. This power is an extensive one, which should not be narrowly viewed. 47. It must be jurisprudentially accepted that human right is a broad concept and cannot be straitjacketed within narrow confines. Any attempt to do so would truncate its all-embracing scope and reach, and denude it of its vigour and vitality. That is why, in seeking to define human rights, the Legislature has used such a wide expression in section 2(d) of the Act. It is also significant to note that while defining the powers and functions of NHRC under section 12 of the Act, the said broad vision has been envisioned in the residuary clause in Section 12(j). 50. We share the same view. 52. Keeping those broad principles in our mind if we look at Section 12(j) of the 1993 Act, we mind that it confers on NHRC “such other functions as it may consider necessary for the promotion of human rights.” It is not necessary that each and every case relating to the violation of human rights will fit squarely within the four corners of section 12 of the 1993 Act, for invoking the jurisdiction of the NHRC. One must accept that human rights are not like edicts inscribed on a rock. They are made and unmade on the crucible of experience and through irreversible process of human struggle for freedom. They admit of a certain degree of fluidity. Categories of human rights, being of infinite variety, are never really closed. That is why the residuary clause in sub-section (j) has been so widely worded to take care of situations not covered by subsections (a) to (i) of Section 12 of the 1993 Act. The jurisdiction of NHRC thus stands enlarged by section 12(j) of the 1993 Act, to take necessary action for the protection of human rights. Such action would include inquiring into cases where a party has been denied the protection of any law to which he is entitled, whether by a private party, a public institution, the government or even the Courts of law. We are of the opinion that if a person is entitled to benefit under a particular law, and benefits under that law have been denied to him, it will amount to a violation of his human rights. 53. Human rights are the basic, inherent, immutable and inalienable rights to which a person is entitled simply by virtue of his being born a human. They are such rights which are to be made available as a matter of right. Constitution and Legislations of civilized country recognise them since they are so quintessentially part of every human being. That is why every democratic country committed to rule of Law put into force mechanisms for their enforcement and protection. Human rights are universal in nature. The Universal Declaration of Human Rights (hereinafter referred to as UDHR) adopted by the General Assembly of the United Nations on 10th December 1948 recognizes and requires the observance of certain universal rights, articulated therein, to be human rights, and these are acknowledged and accepted as equal and inalienable and necessary for the inherent dignity and development of an individual. Consequently, though the term ‘human rights’ itself has not been defined in UDHR, the nature and content of human rights can be understood from the rights enunciated therein. 54. Possibly considering the wide sweep of such basic rights, the definition of ‘human rights’ in the 1993 Act has been designedly kept very broad to encompass within it all the rights relating to life, liberty, equality and dignity of the individual guaranteed by the Constitution or embodied in the International Covenants and enforceable by Courts in India. 55. Thus, if a person has been guaranteed certain rights either under the Constitution or under an International Covenant or under a law, and he is denied access to such a right, then it amounts to a clear violation of his human right and NHRC has the jurisdiction to intervene for protecting it. 56. The contrary finding in the judgment under review about the absence of jurisdiction of NHRC to make some recommendations to the Governor is thus vitiated by errors apparent on the face of the record. Of course NHRC cannot intervene in proceeding pending in Court without its approval [Section 12(6)] as it is assumed that Court will remedy any case of violation of human rights. 57. The assumption in the judgment under review that there can be no violation of a person’s human right by a judgment of this Court is possibly not correct. This Court in exercise of its appellate jurisdiction has to deal with many judgments of High Courts and Tribunals in which the High Courts or the Tribunals, on an erroneous perception of facts and law, have rendered decisions in breach of human rights of the parties and this Court corrects such errors in those judgments. 58. The instances of this Court’s judgment violating the human rights of the citizens may be extremely rare but it cannot be said that such a situation can never happen. 59. We can remind ourselves of the majority decision of the Constitution Bench of this court in Additional District Magistrate Jabalpur v. Shivakant Shukla reported in (1976) 2 SCC 521. 62. There is no doubt that the majority judgment of this court in the ADM Jabalpur case (supra) violated the fundamental rights of a large number of people in this country. 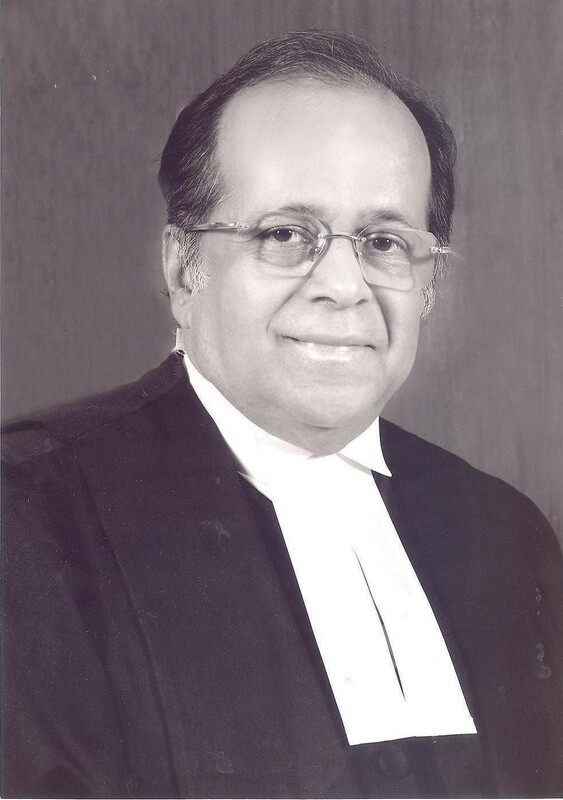 Commenting on the majority judgment, Chief Justice Venkatachalliah in the Khanna Memorial Lecture delivered on 25.2.2009, observed that the same be ‘confined to the dustbin of history.’ The learned Chief Justice equated Justice Khanna’s dissent with the celebrated dissent of Lord Atkins in Liversidge v. Sir John Anderson reported in (1942) AC 206. 63. In fact the dissent of Justice Khanna became the law of the land when, by virtue of the Forty Fourth Constitutional Amendment, Articles 20 and 21 were excluded from the purview of suspension during emergency. 64. But we hasten to add that NHRC cannot function as a parallel seat of justice to rectify or correct or comment upon orders passed by this Court or any other Courts of competent jurisdiction. For correcting an order in a judicial proceeding, the aggrieved party has to avail of the well established gamut of the corrective machinery of appeal, revision, review, curative petition and so on. 65. In fact in this case the NHRC did not send any recommendation as long as the first review proceedings were pending in this court. The NHRC was keeping a track of the proceeding in the Court. From its order dated 16.10.09, it is revealed that NHRC was aware that a review petition was filed against the judgment of this Court in Criminal Appeal No. 4/2000, in addition to a mercy petition filed before the Governor of Assam. The NHRC closely followed the proceedings of the review petition. 66. The NHRC made its recommendations on 21.5.2001 only after the judgment in first review (No.1105/2000) was passed on 10.5.2001 by this Court. 68. After the aforesaid observations this court decided that when in exercise of its power under Article 32, this Court gives any directions to NHRC, then like all other authorities in this country, NHRC is bound by such directions. In such situations, NHRC acts ‘sui-generis’. The statutory bar of limitation under Section 36(2) of the 1993 Act will not stand in the way (paras 12 and 15, pages 137-138 of the report). 69. Therefore, NHRC, a statutory body, in a given situation, may have to act under the order or direction given by this Court in exercise of its constitutional power of judicial review.